As the rain eased, late this morning, I left the temporary refuge of the cafe and set out to the flat, savouring the warm autumnal scents in the air. 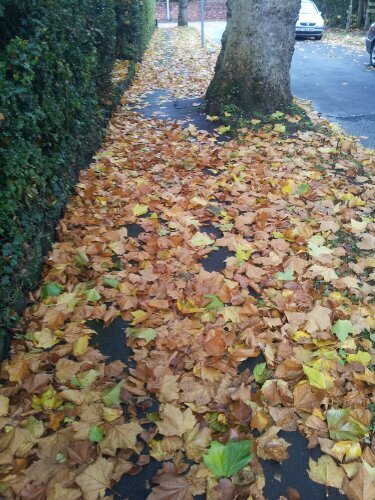 The streets are paved with gold, at this time of year. Or, to look at it another way, walking in rain but walking on captured sunshine.